Keeping our customers who become our friends happy is our AIM. We focus on being proactive instead of waiting for them to tell us…. I ask for thoughts from our customers every time we talk about the products, the business, and future plans. We opened our doors in April of 1994. 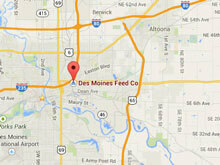 Des Moines Feed supplied our seed then and does to this day. Stan, Charlene, Hubert, Ron, Clayton and the of the crew have always serviced our every need. 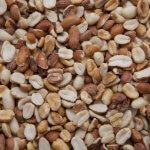 Seed is clean, delivery is always timely and any problems have quickly been resolved. They are there to help. An example: We have a creek behind our store. Not too long ago, it was forecast to flood and the store was in harms way. It turned out to be a false alarm; however, Stan had a semi in reserve in the event we needed to evacuate to prevent disaster. It is this type of concern and service that I feel Des Moines Feed Co. is a company whose service would benefit any store. As a long time business partner of Des Moines Feed Company, I value the fantastic customer service and the quality of their products that can’t be matched. As a customer of Des Moines Feed for 12 years, I appreciate the knowledge and support that is always available. On the rare occasion that a quality issue would arise, it’s handled in a professional and timely manner. I guarantee my products to be of the highest quality and freshness and I can rely on Des Moines Feed Company, as a supplier, to uphold my promise to customers. I serve my customers with the consistency and quality products that they expect at my store, every time. A lot of responsibility goes with being the owner of a retail store. Having a worry-free supplier allows me to focus on earning new business and gives me more time to spend with my customers. They keep me informed of new products and provide beneficial information so I’m knowledgeable of the current trends. I highly recommend Des Moines Feed Company to anyone in the wild bird feeding industry. Whether a sole-proprietor or a large corporation, the experts employed there will get you what you need. As a loyal customer, I thank them for their unsurpassed assistance and look forward to continuing a business relationship. Eric Kirkwood from Wisconsin shared with us on May 18, 2015. 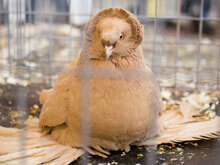 We have been flying pigeons for 50 years and this is the cleanest feed they have ever seen. It’s affordable they love it!!! At 7:00 a.m. lakes are rapidley making ice whick is super for ice fishermen like Wendell. Me- I just go brrr!! We thank-you for the popcorn and calendear. Havent gotten into popcorn yet, but it’s only a matter of time. Charlene- I was looking up some info yesterday. (A suporse for me.) Our 1st order to D.M. Feed was 3/25/2010 for $980.88 the next order wasent until 5/17/2010 for $1022.02 guess we’re come a ways! I wanted to take a minute and thank you and your outstanding crew. After getting wiped out of seed this past weekend, and faced with a short week, I was prepared to have to be out of many of my important products until next week. Wow, was I wrong. Your team got two of my custom blends mixed, palleted and shipped in time for it to make it to me today. That is outstanding customer service. As a comparison, I sent an order to my large national seed supplier, who shall remain nameless here, at the same time as your order. That order did not ship until today which means it will be Monday at the earliest before it arrives and they didn’t even have to mix anything. Again, thank you for what you and your team do and do so well. From woodpeckers to cardinals to chickadees, they all love the bird seed. Was delivered when stated and was expertly packaged. Definitely will order again.